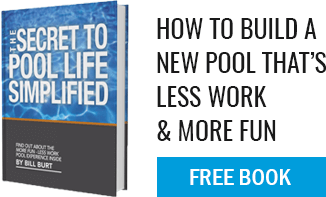 A gunite pool is the strongest, longest lasting type pool one available today. At Aqua Pool, every inground gunite pool we craft is custom-made. First, we start with a design that aligns with the shape of a property, the owner’s wants and needs, and that fits the budget. One main thing we keep in mind is how you will use your pool. Functionality plays a pivotal role in pool ownership. With our approach, we don’t just plop and play with predesignated shapes or prefabricated kits. We offer a process that enables you to customize every detail resulting in a beautiful pool that fits you. In New England, these hardy pools are the only structure engineered to withstand the movements of the earth throughout our harsh winter seasons. Gunite is sprayed cement that is hand applied over a mesh rebar skeleton, giving you, the owner, a structurally superior pool versus any other type of inground pool. This means that your pool with last a lifetime AND be less expensive to own over any other type of pool. While every in-ground pool requires water testing, water balancing and some basic service, an inground gunite pool will stand up over time. With some basic maintenance (the same maintenance required with ALL inground pools), a gunite pool with supply our customers with the most worry-free pool ownership possible. Aqua Pool builds the highest quality, custom inground pools possible. We offer only gunite pools as we believe in supply our clients with the highest quality inground pools with the highest quality options and services during and after the construction so that the result is a beautiful, custom, hand-crafted gunite sculpture that will last. Come talk to our team today about why a gunite pool is the right choice for you.